Although not normally associated with Viennese repertory, the Viennese born Minkus was one of the leading composers of ballet music who composed for the Imperial Theatres in Russia. Amongst his most famous ballets were La Bayadère, Don Quixote and Paquita, which will be of immediate attraction to lovers of Viennese music. Minkus studied at the Vienna Conservatory and began composing dance music. He performed as a solo violinist and briefly conducted an orchestra that competed with Johann Strauss Jr. After a period in Paris, in 1853 Minkus went to St Petersburg where he became an orchestral conductor/violin soloist in the private orchestra of Prince Nikolai Yusupov. By 1861 he was first concertmaster at the Bolshoi, then conductor, and by 1864 he was named their official ballet composer. 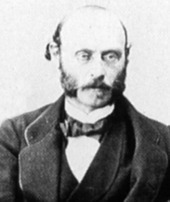 Minkus maintained his ties with Paris when in 1866, 20 years after his début there, he wrote the larger part of a ballet, La Source; one act only was entrusted to the younger Delibes. On returning to Russia Minkus began writing ballet music for Petipa’s creations. In 1868 Petipa planned his Don Quixote for the Bolshoi Theater, with music composed by Minkus. It had an enormous success when first performed in 1869. This won for Minkus the post of official composer to the Imperial Russian Ballet and he composed the music for La Bayadère in 1877. After several other productions he retired in 1891 and returned to Vienna dissatisfied with his Russian pension.